The thought of the United States government gathering up its citizens and placing them in "residential centers" or containment camps seems outlandish, but it's happened before and has been attempted more often than you think. Ronald Reagan was President of the United States at the time when Rex 84, short for Readiness Exercise 1984, was a classified "scenario and drill" developed by the United States federal government to suspend the United States Constitution, declare martial law, place military commanders in charge of state and local governments, and detain large numbers of American citizens who are deemed to be "national security threats", in the event that the President declares a "State of National Security". 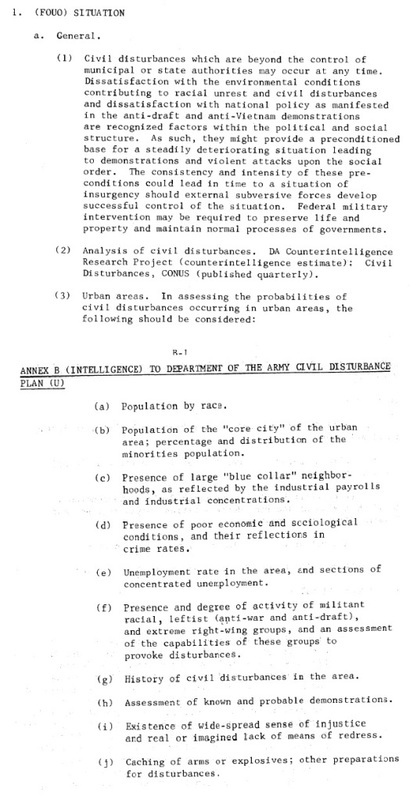 To combat what the government perceived as "subversive activities", the plan also authorized the military to direct ordered movements of civilian populations at state and regional levels. And there you have it ~ the real purpose of FEMA is to not only protect the government but to be its principal vehicle for martial law. This is why FEMA could not respond immediately to the Hurricane Katrina disaster ~ humanitarian efforts were no longer part of its job description under the Department of Homeland Security. It appears Hurricane Katrina also provided FEMA with an excuse to “dry run” its unconstitutional powers in New Orleans, rounding up “refugees” (now called “evacuees”) and “relocating” them in various camps. The provision was tucked into the House version of the defense bill without notice to the states, something Vilsack said he resented as much as the proposal itself. Under the provision, the president would have authority to take control of the Guard in case of ” a serious natural or manmade disaster, accident or catastrophe” in the United States. At last count, there were over 800+ prison camps in the United States, all fully operational and ready to receive prisoners. We are all familiar to the event following the Japanese bombing of Pearl Harbor during World War II. On January 14, 1942, President Roosevelt issued Presidential Proclamation No. 2537, which mandated that immigrants from World War II enemy countries like as Italy, Germany and Japan, register with the United States Department of Justice. Due to fear that Japanese Americans on the west coast would turn on the United States, over 110,000 were rounded up and placed in what was known as an interment camp. Only one month later, Roosevelt signed Executive Order 9066 into law which allowed the removal of all Japanese Americans into internment camps. The Garden Plot plan –drafted after the Watts, Newark, and Detroit riots– captures the acrimonious times when the document was drawn up. The section outlining the Army’s perception of the “situation” in America certainly insinuates an establishment that was afraid the disenfranchised. 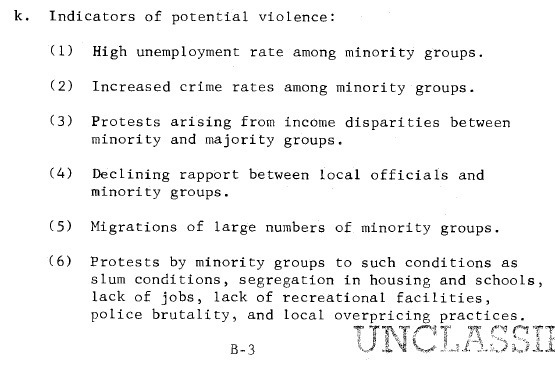 The Plot warns against “racial unrest,” as well as “anti-draft” and “anti-Vietnam” elements.